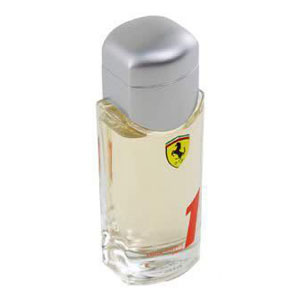 Ferrari Formula No.1 by Ferrari for Men was introduced in the year 2001. FerrariNo1 is a crisp, arid fragrance with a blend of oakmoss, lime, nutmeg and ginger. This perfume will be an ideal gift to your man in 500+ cities in India. Oakmoss - Oakmoss is a type of lichen used extensively in modern perfumery. This lichen can be found in many mountainous temperate forests throughout the Northern Hemisphere, including parts of France, Portugal, Spain etc. Oakmoss grows primarily on the trunk and branches of oak trees, but is also commonly found on the bark of other decideous trees and conifers such as fir and pine. Ginger - Ginger (Zingiber officinale) is a perennial plant in the family Zingiberaceae - its rhizome is commonly used as a cooking spice throughout the world. Ginger contains up to 3% of an essential oil that causes the fragrance of the spice. Ginger is the spice that really spices up the senses. Nutmeg - The nutmegs Myristica are a genus of evergreen trees indigenous to tropical southeast Asia and Australasia. They are important for two spices derived from the fruit, nutmeg and mace. It is believed that Roman priests may have burned nutmeg as a form of incense, although this is disputed. It is known to have been used as a prized and costly spice in medieval cuisine. In India it is known at Jaiphal. Lime - Lime is a term referring to a number of different fruits (generally citruses), both species and hybrids, which are typically round, green to yellow in colour, 3-6 cm in diameter, generally containing sour pulp, and frequently associated with the lemon. Limes are often used to accent the flavours of foods and beverages. Recommended Wear - It is recommended for casual wear. Also send Online Gifts to India through us to truly make your loved ones erupt with joy once they receive the gift.